Substantial progress has been made over the last 20 years in the United States to curb drinking and driving among teenagers. Since 1991, there has been about a 54% decrease in the prevalence of drinking and driving among high school students aged 16 and older. However, about 10% of adolescents in this age range report that they have driven after consuming an alcoholic beverage (Figure 1). Although progress has been made, the overall prevalence of drinking and driving still affects about 950,000 high school students, killing more than 800 each year. National data have illustrated significant differences in drinking and driving among genders, races, ages, and patterns of binge drinking. Male students are more likely than female students to drink and drive. Hispanics have the highest prevalence of drinking and driving when compared with Caucasians and African Americans. Drinking and driving rates increase with age throughout the teenage years. These rates are more than three times higher among students who report binge drinking when compared with those reporting they use alcohol but do not binge drink. 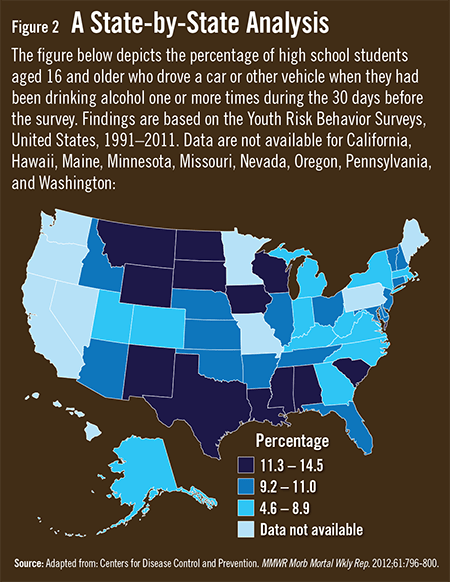 The prevalence of drinking and driving per state also varies significantly, ranging from a low of about 5% in Utah to a high of nearly 15% in North Dakota (Figure 2). To reduce the prevalence of alcohol-related injuries, the CDC has worked with EDs and trauma centers to implement alcohol screening and brief intervention (SBI) programs. 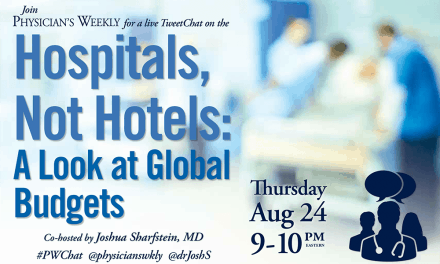 “Currently, major trauma centers are required by the American College of Surgeons to use SBI programs to screen all incoming patients for alcohol use in an effort to identify risky drinking behaviors and provide intervention for them on-site,” says Shahram Lotfipour, MD, MPH. Research on SBI has been promising. Studies show that for each dollar invested in SBI, there has been a four-fold return in reduced overall healthcare costs. In addition, SBI has helped significantly decrease drinks consumed per week and binge drinking episodes. It has also reduced readmission rates to trauma centers, EDs, and hospitals. “The ED gives clinicians a chance to screen and educate patients about alcohol abuse by initiating a ‘teachable moment,’” Dr. Lotfipour says. This creates a window of opportunity to intervene by using alcohol SBI. However, policies that support these measures have been poorly followed or enforced or not implemented throughout the U.S. More research on SBI use in adolescents is necessary. Many studies focus on older adolescents and miss younger teens who engage in alcohol use. Future research must also address developmental and demographic differences in various patient populations. 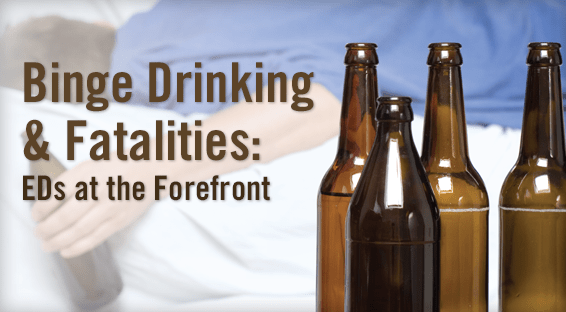 Lotfipour S, Cisneros V, Chakravarthy B. Fatalities and binge drinking among high school students: a critical issue to emergency department and trauma centers. West J Emerg Med. 2013;14:271-274. Available at: http://escholarship.org/uc/item/2tx1f9w1#page-1. Centers for Disease Control and Prevention (CDC). 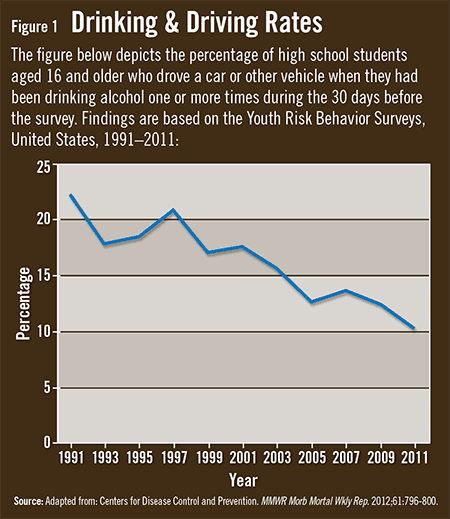 Vital Signs: Drinking and Driving Among High School Students Aged > 16 years – United States, 1991 – 2011. MMWR Morb Mortal Wkly Rep. 2012;61:796-800. Available at: http://www.cdc.gov/mmwr/preview/mmwrhtml/mm6139a5.htm. Shults RA, Elder RW, Sleet DA, et al. Reviews of evidence regarding interventions to reduce alcohol-impaired driving. Am J Prev Med. 2011;21:66-88. Lotfipour S, Cisneros V, Chakravarthy B, et al. Assessment of readiness to change and relationship to AUDIT score in a trauma population utilizing computerized alcohol screening and brief intervention. Subst Abus. 2012;33:378-386. Noffsinger DL, Cooley J. Screening, brief intervention, and referral to treatment in the adolescent trauma population: examining barriers to implementation. J Trauma Nurs. 2012;19:148-151. Lotfipour S, Howard J, Roumani S, et al. Increased detection of alcohol consumption and at-risk drinking with computerized alcohol screening. J Emerg Med. 2013;44:861-866. NextIs it Possible to Live a Full Life as a Surgeon‏? 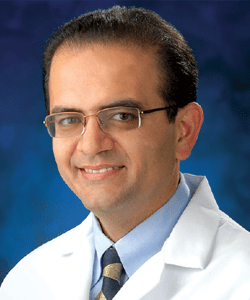 Shahram Lotfipour, MD, MPH, has indicated to Physician’s Weekly that he has or has had no financial interests to report.